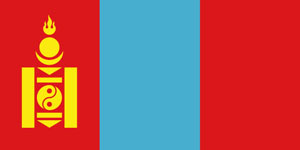 Mongolia (Mongolian: Монгол улс/ Mongol Uls) is a landlocked country in East and Central Asia. It borders Russia to the north and People's Republic of China to the south, east and west. Although Mongolia does not share a border with Kazakhstan, its western-most point is only a few miles from Kazakhstan's eastern tip. Ulan Bator, the capital and largest city, is home to about 38% of the population. Mongolia's political system is a parliamentary republic. The area of what is now Mongolia has been ruled by various nomadic empires, including the Xiongnu, the Xianbei, the Rouran, the Gökturks, and others. The Mongol Empire was founded by Genghis Khan in 1206. After the collapse of the Yuan Dynasty, the Mongols returned to their earlier patterns. In the 16th and 17th centuries, Mongolia came under the influence of Tibetan Buddhism. At the end of the 17th century, most of Mongolia had been incorporated into the area ruled by the Qing Dynasty. During the collapse of the Qing Dynasty in 1911, Mongolia declared independence, but had to struggle until 1921 to firmly establish de-facto independence, and until 1945 to gain international recognition. 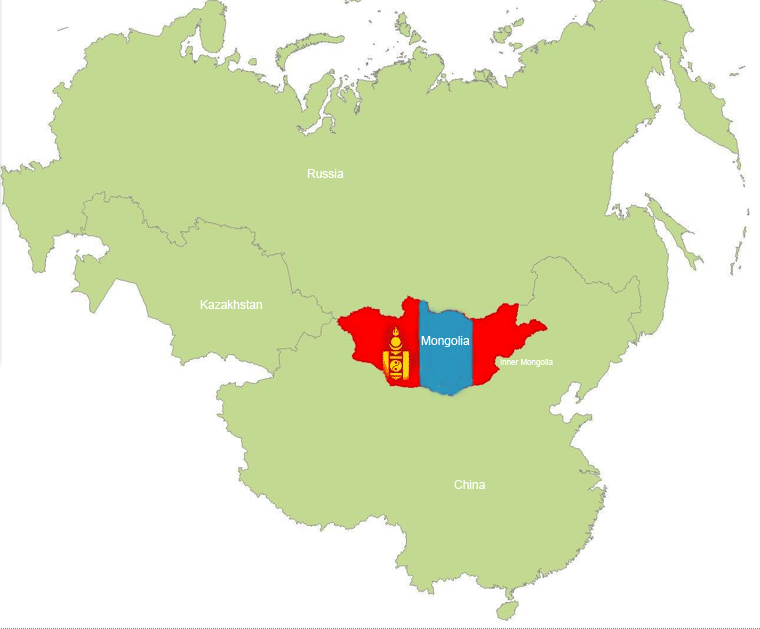 As a consequence, it came under strong Russian and Soviet influence: In 1924, the Mongolian People's Republic was declared, and Mongolian politics began to follow the same patterns as Soviet politics of the time. After the breakdown of communist regimes in Eastern Europe in late 1989, Mongolia saw its own Democratic Revolution in early 1990, which led to a multi-party system, a new constitution in 1992, and the - rather rough - transition to a market economy. At 1,564,116 square kilometres, Mongolia is the nineteenth largest and most sparsely populated independent country in the world, with a population of around 2.9 million people. It is also the world's second-largest landlocked country after Kazakhstan. The country contains very little arable land, as much of its area is covered by steppes, with mountains to the north and west and the Gobi Desert to the south. Approximately 30% of the country's 2.9 million people are nomadic or semi-nomadic. The predominant religion in Mongolia is Tibetan Buddhism, and the majority of the state's citizens are of the Mongol ethnicity, though Kazakhs, Tuvans and other minorities also live in the country, especially in the west. Important prehistoric sites are the Paleolithic cave drawings of the Khoid Tsenkheriin Agui (Northern Cave of Blue) in Khovd Province, and the Tsagaan Agui (White Cave) in Bayankhongor Province. A Neolithic farming settlement has been found in Dornod Province. Contemporary findings from western Mongolia include only temporary encampments of hunters and fishers. The population during the Copper Age has been described as paleomongolid in the east of what is now Mongolia, and as europid in the west. In the second millennium B.C, during the bronze age, western Mongolia was under the influence of the Karasuk culture. Deer stones and the omnipresent keregsürens (small kurgans) probably are from this era; other theories date the deer stones as 7th or 8th centuries BCE. A vast iron-age burial complex from the 5th-3rd century, later also used by the Xiongnu, has been unearthed near Ulaangom. Mongolia, since prehistoric times, has been inhabited by nomads who, from time to time, formed great confederations that rose to prominence. The first of these, the Xiongnu, were brought together to form a confederation by Modu Shanyu in 209 BC. Soon they emerged as the greatest threat to the Qin Dynasty, forcing the latter to construct the Great Wall of China, itself being guarded by up to almost 300,000 soldiers during marshal Meng Tian's tenure, as a means of defense against the destructive Xiongnu raids. After the decline of the Xiongnu, the Rouran, a close relative of the Mongols, came to power before being defeated by the Göktürks, who then dominated Mongolia for centuries. During the seventh and eighth centuries, they were succeeded by Uyghurs and then by the Khitans and Jurchens. By the tenth century, the country was divided into numerous tribes linked through transient alliances and involved in the old patterns of internal strife. In the chaos of the late twelfth century, a chieftain named Temüjin finally succeeded in uniting the Mongol tribes between Manchuria and the Altai Mountains. In 1206, he took the title Genghis Khan, and waged a series of military campaigns - renowned for their brutality and ferocity - sweeping through much of Asia, and forming the Mongol Empire, the largest contiguous land empire in world history. Under his successors it stretched from present-day Poland in the west to Korea in the east, and from Siberia in the north to the Gulf of Oman and Vietnam in the south, covering some 33,000,000 km. 2 (12,741,000 sq mi. 2), (22% of Earth's total land area) and having a population of over 100 million people. After Genghis Khan's death, the empire had been subdivided into four kingdoms or Khanates which eventually split-up after Möngke's death in 1259. One of the khanates, the "Great Khaanate", consisting of the Mongol homeland and China, became the Yuan Dynasty under Kublai Khan grandson of Genghis Khaan. He set up his capital in present day Beijing but after more than a century of power, the Yuan was replaced by the Ming Dynasty in 1368, with the Mongol court fleeing to the north. As the Ming armies pursued the Mongols into their homeland, they successfully sacked and destroyed the Mongol capital Karakorum among other cities, wiping out the cultural progress that was achieved during the imperial period and thus throwing Mongolia back to anarchy. The next centuries were marked by violent power struggles between various factions, notably the Genghisids and the non-Genghisid Oirads and numerous Chinese invasions (like the five expeditions led by the Yongle Emperor). In the early 15th century, the Oirads under Esen Tayisi gained the upper hand, and even raided China in 1449 in a conflict over Esen's right to pay tribute, capturing the Chinese emperor in the process. However, Esen was murdered in 1454, and the Genghisids recovered. In the mid-16th century, Altan Khan of the Tümed, a grandson of Batumöngke - but no legitimate Khan himself - became powerful. He founded Hohhot in 1557 and his meeting with the Dalai Lama in 1578 sparked the second introduction of Tibetan Buddhism to Mongolia. Abtai Khan of the Khalkha converted to buddhism in 1585 and founded the Erdene Zuu monastery in 1586. His grandson Zanabazar became the first Jebtsundamba Khutughtu in 1640. 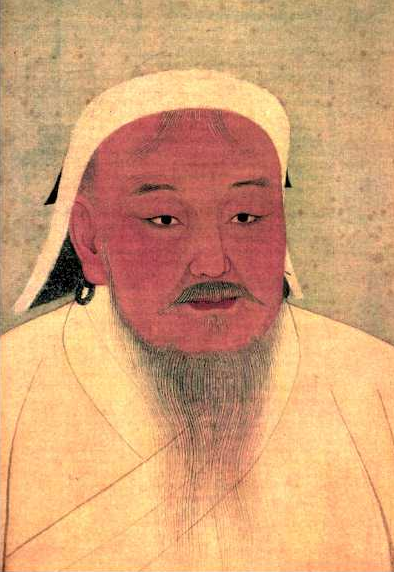 The last Mongol Khan was Ligden Khan in the early 17th century. He got into conflicts with the Manchu over the looting of Chinese cities, and managed to alienate most Mongol tribes. He died in 1634 on his way to Tibet, in an attempt to evade the Manchu and destroy the Yellow Hat sect of Buddhism. By 1636, most Inner Mongolian tribes had submitted to the Manchu. The Khalkha eventually submitted to the Qing in 1691, thus bringing all but the west of today's Mongolia under Beijing's rule. After several wars, the Dzungars were virtually annihilated in 1757. Until 1911, the Manchu maintained control of Mongolia with a series of alliances and intermarriages, as well as military and economic measures. Ambans, Manchu "high officials", were installed in Khüree, Uliastai, and Khovd, and the country was subdivided into ever more feudal and ecclesiastical fiefdoms. Over the course of the 19th century, the feudal lords attached more importance to representation and less importance to the responsibilities towards their subjects. In addition the usurious practices of the Chinese traders, along with the collection of imperial taxes in silver instead of animals, resulted in poverty becoming rampant. With the fall of the Qing Dynasty, Mongolia declared independence in 1911. The new country's territory was approximately that of the former Outer Mongolia. The 49 hoshuns of Inner Mongolia as well as the Mongolians of the Alashan and Qinghai regions expressed their willingness to join the nascent state, to no avail. In 1919, after the October Revolution in Russia, Chinese troops led by Xu Shuzheng occupied the capital but their dominance was short-lived. The Russian adventurer Baron Ungern who had fought with the Whites against the Red Army in Siberia, led his troops into Mongolia, triumphing over Chinese in Niislel Khüree. He ruled briefly, under the blessing of religious leader Bogd Khan before he was captured and executed by the Red Army assisted by Mongolian units led by Damdin Sükhbaatar. These events led to abolition of the feudal system and ensured the country's political alignment with Bolshevik Russia. In 1924, after the death of the religious leader and king Bogd Khan, a Mongolian People's Republic was proclaimed with support from the Soviets. In 1928, Khorloogiin Choibalsan rose to power. He instituted collectivisation of livestock, the destruction of Buddhist monasteries and the Mongolia's enemies of the people persecution resulting in the murder of monks and other people. In Mongolia during the 1920s, approximately one third of the male population were monks. By the beginning of the 20th century about 750 monasteries were functioning in Mongolia. The Stalinist purges in Mongolia beginning in 1937, affected the Republic as it left more than 30,000 people dead. Japanese imperialism became even more alarming after the invasion of neighboring Manchuria in 1931. During the Soviet-Japanese Border War of 1939, the USSR successfully defended Mongolia against Japanese expansionism. In August 1945 Mongolian forces also took part in the Soviet Manchurian Strategic Offensive Operation in Inner Mongolia. The Soviet threat of seizing parts of Inner Mongolia induced China to recognize Outer Mongolia's independence, provided that a referendum was held. The referendum took place on October 20, 1945, with (according to official numbers) 100% of the electorate voting for independence. After the establishment of the People's Republic of China, both countries confirmed their mutual recognition on October 6, 1949. In January 26, 1952, Yumjaagiin Tsedenbal took power. In 1956 and again in 1962, Choibalsan's personality cult was condemned. Mongolia continued to align itself closely with the Soviet Union, especially after the Sino-Soviet split of the late 1950s. While Tsedenbal was visiting Moscow in August 1984, his severe illness prompted the parliament to announce his retirement and replace him with Jambyn Batmönkh. The introduction of perestroika and glasnost in the USSR by Mikhail Gorbachev strongly influenced Mongolian politics leading to the peaceful Democratic Revolution and the introduction of a multi-party system and market economy. A new constitution was introduced in 1992, and the "People's Republic" was dropped from the country's name. The transition to market economy was often rocky, the early 1990s saw high inflation and food shortages. The first election wins for non-communist parties came in 1993 (presidential elections) and 1996 (parliamentary elections). Mongolia is a parliamentary republic. The parliament is elected by the people and in turn elects the government. The president is elected directly. Mongolia's constitution guarantees full freedom of expression, religion, and others. Mongolia has a number of political parties, the biggest ones being the Mongolian People's Revolutionary Party (MPRP) and the Democratic Party (DP). 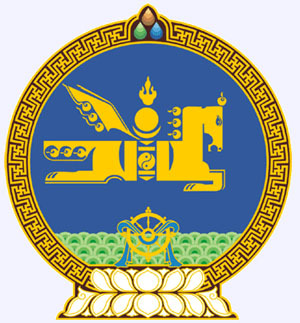 The MPRP formed the government of the country from 1921 to 1996 (until 1990 in a one-party system) and from 2000 to 2004. From 2004 to 2006, it was part of a coalition with the DP and two other parties, and since 2006 it has been the dominant party in two other coalitions. Both changes of government after 2004 were initiated by the MPRP. The DP was the dominant force in the ruling coalition between 1996 and 2000, and also an approximately equal partner with the MPRP in the 2004-2006 coalition. The next parliamentary elections are set for June 2008. Mongolia's president has a symbolic role, but can block the parliament's decisions, who can then overrule the veto by a 2/3 majority. Mongolia's Constitution provides three requirements for taking office as President: the individual must be a native-born Mongolian, be at least 45 years of age, and have resided in Mongolia for five years prior to taking office. The current President is Tsakhiagiin Elbegdorj. Mongolia uses a unicameral parliamentary system in which the president has a symbolic role and the government chosen by the legislature exercises executive power. The legislative arm, the State Great Khural, has one chamber with 76 seats and is chaired by the speaker of the house. It elects its members every four years by general elections. The State Great Khural is powerful in the Mongolian government with the president being largely symbolic and the prime minister being confirmed from the parliament. The Prime Minister of Mongolia is elected by the State Great Khural. The current prime minister is Sanjaagiin Bayar, who was elected by sixty-seven votes to two on November 22, 2007. 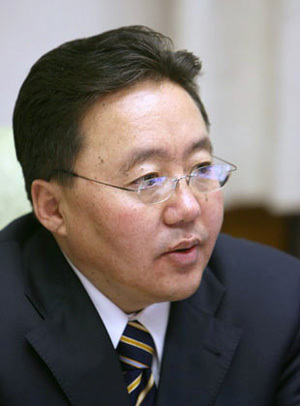 The deputy prime minister is Miyeegombyn Enkhbold (since December 5, 2007). There are ministers of each department (finance, defense, labor, agriculture, etc.) and those offices constitute the prime minister's cabinet. Mongolia maintains positive relations and has diplomatic missions with many countries such as the United States, Russia, North and South Korea, Japan, and the People's Republic of China. The government has focused a great deal on encouraging foreign investments and trade. Mongolia supported the 2003 invasion of Iraq, and has sent several successive contingents of 103 to 180 troops each to Iraq. Smaller contingents were also sent to Afghanistan. 200 Mongolian troops are serving in Sierra Leone on a UN mandate to protect the UN's special court set up there. From 2005 to 2006, about 40 troops were deployed with the Belgian and Luxembourgish contingent in Kosovo. On November 21, 2005, George W. Bush became the first-ever sitting U.S. President to visit Mongolia. In 2004, under the Bulgarian chairmanship, The Organisation for Security and Cooperation in Europe (OSCE), invited Mongolia as its newest Asian Partner. At 1,564,116 km. 2 (603,909 mi. 2), Mongolia is the world's nineteenth-largest country (after Iran). It is significantly larger than the next-largest country, Peru. The geography of Mongolia is varied with the Gobi Desert to the south and with cold and mountainous regions to the north and west. Much of Mongolia consists of steppes. The highest point in Mongolia is the Khüiten Peak in the Tavan bogd massif in the far west at 4,374 m (14,350 ft). The basin of the lake Uvs Nuur, shared with Tuva Republic in Russia, is a natural World Heritage Site. Most of the country is hot in the summer and extremely cold in the winter, with January averages dropping as low as -30°C (-22°F). The country is also subject to occasional harsh climatic conditions known as zud. Ulan Bator has the lowest average temperature of any national capital in the world. Mongolia is high, cold, and windy. It has an extreme continental climate with long, cold winters and short summers, during which most of its annual precipitation falls. The country averages 257 cloudless days a year, and it is usually at the center of a region of high atmospheric pressure. Precipitation is highest in the north (average of 20 to 35 centimeters per year) and lowest in the south, which receives 10 to 20 centimeters annually. The extreme south is the Gobi, some regions of which receive no precipitation at all in most years. There are currently over 30,000 independent businesses in Mongolia, chiefly centered around the capital city[. The majority of the population outside urban areas participate in subsistence herding; livestock typically consists of sheep, goats, cattle, horses, and Bactrian camels. Agricultural crops include wheat, barley, potato, vegetables, tomato, watermelon, sea-buckthorn and fodder crops. GDP per capita in 2006 was $2,100. Although GDP has risen steadily since 2002 at the rate of 7.5% in an official 2006 estimate, the state is still working to overcome a sizable trade deficit. A massive ($11 billion) foreign debt to Russia was settled by the Mongolian government in 2004 with a $250 million payment. Despite growth, the proportion of the population below the poverty line is estimated to be 35.6% in 1998, 36.1% in 2002–2003, 32.2% in 2006, and both the unemployment rate and inflation rate are relatively high at 3.2% and 6.0%, respectively (in 2006) Mongolia's largest trading partner is China. As of 2006, 68.4% of Mongolia's exports went to China, and China supplied 29.8% of Mongolia's imports. The Mongolian Stock Exchange, established in 1991 in Ulan Bator, is the world's smallest stock exchange by market capitalisation. Industry currently accounts for 21.4% of GDP, approximately equal to the weight of the agriculture sector (20.4%). These industries include construction materials, mining (coal, copper, molybdenum, fluorspar, tin, tungsten, and gold), oil, food and beverages, processing of animal products, and cashmere and natural fiber manufacturing. The industrial production growth rate is estimated to be 4.1% in 2002. Mining is continuing to rise as a major industry of Mongolia as evidenced by number of Chinese, Russian and Canadian firms opening and starting mining business in Mongolia. Domestic food production, especially packaged food production has been increasingly coming up with speed with investments from foreign companies. After the transition shocks of the early 1990s, Mongolian domestic production has picked up again. According to the CIA World Factbook, in 2003, the service sector accounted for 58% of the GDP, with 29% of the labor force of 1.488 million involved. Foreign investment from other countries (including China, Japan, South Korea, Germany and Russia) has helped to add more paved roads. The most important is a 1000 km north-south road leading from the Russian border at Sükhbaatar to the Chinese border at Zamyn-Üüd. There are several air transport companies in Mongolia, including MIAT, Aero Mongolia, and Eznis Airways. Modern transportation began to develop during the People's Republic of Mongolia era helped by the Soviet Union and transportation like the train and airplanes were brought in. The Trans-Siberian Railway crosses through Mongolia and that has been the main infrastructure for transportation of goods between Russia, Mongolia and China for decades. Mongolia has also domestic and international airport throughout the country. The main international airport is the Chinggis Khaan International Airport and direct international flights exist between South Korea, China, Japan, Russia and Germany. MIAT is the largest air carrier in Mongolia that does both domestic and international flights. There are paved roads to some of the larger cities in Mongolia like between Darkhan and Ulaanbaatar. More paved roads are being added, but presently paved road system is relatively lacking compared to other developed countries. Since Mongolia is a landlocked country it doesn't have large ships but they at one point rented a port and a ship in one of foreign country's port. Mongolia's total population as of July 2007 is estimated by U.S. Census Bureau at 2,951,786 people ranking at around 138th in the world in terms of population. But the U.S. Department of State Bureau of East Asian and Pacific Affairs uses the U.N. estimations instead of the U.S. Census Bureau estimations. United Nations Department of Economic and Social Affairs Population Division estimates Mongolia's total population (mid. 2007) as 2,629,000 (11% less then U.S. Census Bureau). But UN estimations are very close to those made by Mongolian National Statistical Office - 2,612,900 (end of June 2007). It has a very small population relative to its two border neighbors, Russia and the People's Republic of China. Though the majority of Mongolian citizens are of Mongol descent there are small populations of Kazakh, Tuvan, and Tungus peoples. Mongolia's population growth rate is estimated at 1.2% (2007 est.). About 59% of the total population is under age 30, 27% of whom are under 14. This relatively young and growing population has, as in many developing countries, placed strains on Mongolia's economy. Mongolia has become more urbanized. About 40 percent of the population live in Ulaanbaatar alone, and in 2002 a further 23% lived in Darkhan, Erdenet, the aimag centers and sum-level permanent settlements. Another share of the population lives in the sum centers. In 2002, about 30 percent of all households in Mongolia lived from breeding lifestock. Most herders in Mongolia follow a pattern of nomadic or semi-nomadic pastoralism. The official language of Mongolia is Khalkha Mongolian, which uses the Cyrillic alphabet, and is spoken by 90% of the population. A variety of different dialects are spoken across the country. In the west the Kazakh and Tuvan languages, among others, are also spoken. The Russian language is the most frequently spoken foreign language in Mongolia, followed by English, though English has been gradually replacing Russian as the second language. Korean has gained a popularity as tens of thousands of Mongolians work in South Korea. Interest in Chinese, as the language of the second neighbouring power, has been growing. Japanese is also popular among the younger people. A number of older educated Mongolians speak some German, as they studied in the former East Germany, while a few speak other languages from the former Eastern Bloc. Besides that, many younger Mongolians are fluent in the Western European languages as they study or work in foreign countries including Germany, France and Italy. According to the CIA World Factbook; 50% of Mongolia's population follow the Tibetan Buddhism, 40% are listed as having no religion, 6% are Shamanist and Christian, and 4% are Muslim. But according to the U.S. Department of State, 90% practice Tibetan Buddhism, followed by Islam (6%), then Christianity (4%), and an unknown percentage of Shamanism. The differences between the CIA World Factbook and the U.S. Department of States estimates for religion are mostly that the nonreligious in the CIA World Factbook estimate are in the Tibetan Buddhism category in the U.S. Department of State estimate. A possible explanation for this is that the flexibility of Buddhism makes it difficult to discern what constitutes a Buddhist, since Buddhism can be embraced in varying degrees, unlike some other religions which clearly demarcate their followers. Various forms of Tengriism and Shamanism have been widely practiced throughout the history of what is now modern day Mongolia, as such beliefs were common among nomadic people in Asian history. Such beliefs mostly gradually gave way to Tibetan Buddhism, but Shamanism has left a mark on Mongolian religious culture. Indeed, it continues to be practised. The fall of communism in 1991 restored the legality of public religious practice, and Tibetan Buddhism, which had been the predominant religion in the region before the rise of Communism, again rose to become the most widely practiced religion in Mongolia. The end of religious repression in the 1990s also allowed for other religions, such as Islam and Christianity, to spread in the country. According to the Christian missionary group, Barnabas Fund, the number of Christians grew from just 4 in 1989 to around 40,000 as of 2008. Average childbirth (fertility rate) is around 2.25 - 1.87 per woman (2007) and average life expectancy is 67 - 68 years. Infant mortality is at 1.9% - 4% and child mortality is at 4.3%. The main festival is Naadam, which has been organised for centuries, consists of three Mongolian traditional sports, archery, horse-racing (over long stretches of open country, not the short racing around a track practiced in the West), and wrestling. Nowadays it is held on July 11 to July 13 in the honour of the anniversaries of the National Democratic Revolution and foundation of the Great Mongol State. Another very popular activity called Shagaa is the "flicking" of sheep ankle bones at a target several feet away, using a flicking motion of the finger to send the small bone flying at targets and trying to knock the target bones off the platform. This contest at Naadam is very popular and develops a serious audience among older Mongolians. In Mongolia, the khoomei, or throat singing, style of music is popular, particularly in parts of Western Mongolia. Other sports such as table tennis, basketball, and soccer are increasingly getting popular. More Mongolian table tennis players are competing internationally. The winners are honored with ancient titles: the winner of the fifth round gets the honorary title of nachin (falcon), of the seventh and eighth rounds zaan (elephant), and of the tenth and eleventh rounds arslan (lion). The wrestler who becomes the absolute champion is awarded the title of avarga (Titan). Every subsequent victory at the national Naadam-festival will add an epithet to the avarga title, like "Invincible Titan to be remembered by all". Beginning in 2003, the Mongolian parliament adopted a new law on Naadam, making amendments to some of the wrestling titles. The titles of iarudi and Khartsaga (Hawk) were added to the existing above-mentioned rules. 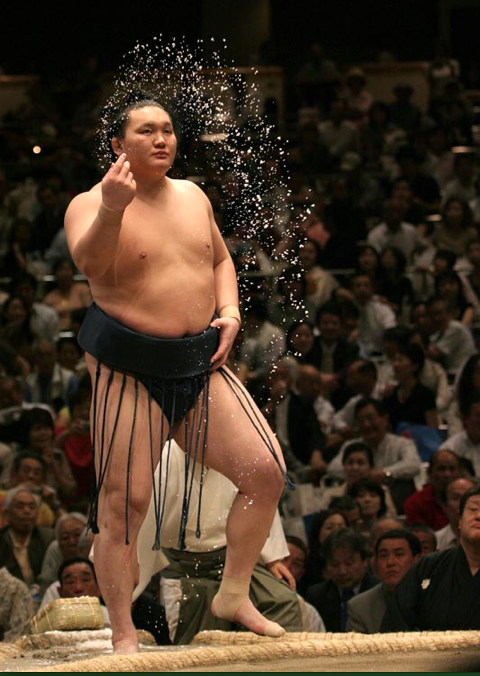 Mongolia's traditional wrestlers have made the transition to Japanese sumo wrestling with great success. 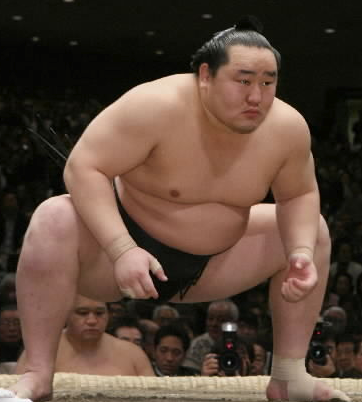 Asashoryu Akinori (Долгорсүрэнгийн Дагвадорж Dolgorsuren Dagwadorj) was the first Mongolian to be promoted to the top sumo rank of yokozuna in 2003 and was followed by his countryman Hakuho Sho (Мөнхбатын Даваажаргал Munkhbat Dawaajargal) in 2007. Football is also played in Mongolia. The Mongolia national football team began playing again in the 1990s; it has yet to qualify for a major tournament. The Mongolia Premier League is the top domestic competition. The traditional Mongolian dwelling is known as a yurt (Mongolian: ger). According to Mongolian artist and art critic N. Chultem, yurts and tents were the basis for development of the traditional Mongolian architecture. In the 16th ad 17th centuries, lamaseries were built throughout the country. Many of them started as yurt-temples. When they needed to be enlarged to accommodate the growing number of worshippers, the Mongolian architects used structures with 6 and 12 angles with pyramidal roofs to approximate to the round shape of a yurt. Further enlargement led to a quadratic shape of the temples. The roofs were made in the shape of marquees. The trellis walls, roof poles and layers of felt were replaced by stone, brick, beams and planks, and became permanent. Chultem distinguished three styles in traditional Mongolian architecture: Mongolian, Tibetan and Chinese as well as combinations of the three. Among the first quadratic temples was Batu-Tsagaan (1654) designed by Zanabazar. An example of the yurt-style architecture is the lamasery Dashi-Choiling in Ulan Bator. The temple Lavrin (XVIII century) in the Erdene Zuu lamasery was built in the Tibetan tradition. An example of a temple built in the Chinese tradition is the lamasery Choijing Lamiin Sume (1904), which is a museum today. The quadratic temple Tsogchin in lamasery Gandan in Ulan Bator is a combination of the Mongolian and Chinese tradition. The temple of Maitreya (disassembled in 1938) is an example of the Tibeto-Mongolian architecture. Dashi-Choiling monastery has commenced a project to restore the temple and the 80 feet (24 m) sculpture of Maitreya.. The music of Mongolia is strongly influenced by Tibetan Buddhism and nomadism. The natives dance the "tsam" to keep away evil spirits and it was seen the reminiscences of shamaning. The traditional music includes a variety of instruments and also the throat-singing technique, khoomei. The first rock band of Mongolia was Soyol-Erdene, founded in the 1960s. Their Beatles-like manner was severely criticised by the Communist censorship. It was followed by Mungunhurhree, Ineemseglel, Urgoo, etc., carving out the path for the genre in the harsh environment of Communist ideology. Mungunhurhree and Haranga were to become the pioneers in the Mongolia's heavy rock music. Haranga approached its zenith in the late 1980s and 1990s. The leader of Haranga, famous guitarist Enh-Manlai, generously helped the growth of their following generations of rockers. Among the followers of Haranga was the band Hurd. In the early 1990s group Har-Chono put the beginning for Mongolia's folk-rock merging the elements of the Mongolian tenuto song (poorly described as "long" song) into the genre. Mongolian press began in 1920 with close ties to the Soviet Union under the Mongolian Communist Party, with the establishment of the Unen (Truth) newspaper similar to the Soviet Pravda. Until reforms in the 1990s, the government had strict control of the media and oversaw all publishing, in which no independent media was allowed. The dissolution of the Soviet Union had a significant impact on Mongolia, where the one-party state grew into a multi-party democracy, and with that, media freedoms came to the forefront.